So I am still sick but when John suggested that he turn on the oven in preparation for making rice, I decided it was time to get up off the couch and do something. 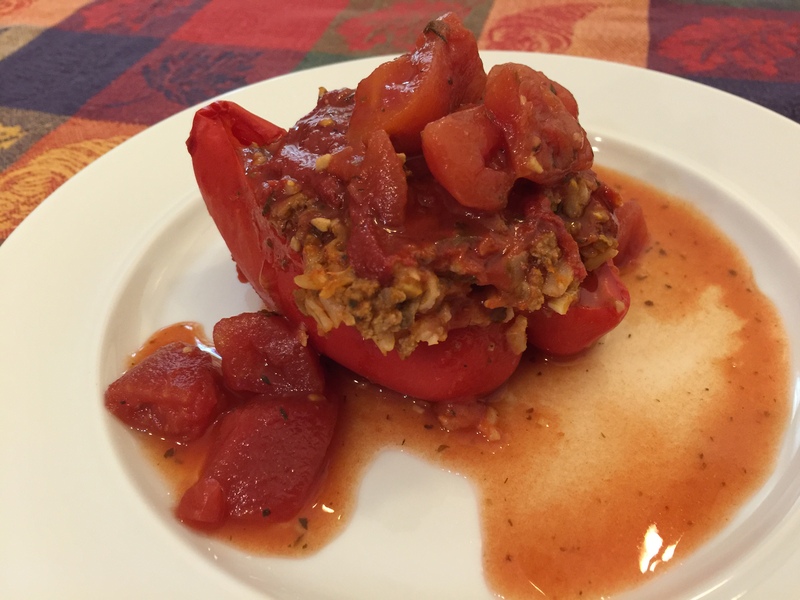 Dinner tonight was stuffed red peppers. For a change we stuffed them with ground beef and brown rice instead of ground turkey or mushrooms and farro. This entry was posted in Beef, Vegetables and tagged bell pepper, brown rice, ground beef, stuffed pepper. Bookmark the permalink.